Avda Libertad, 6, 41700 Dos Hermanas, Spanien. The Leflet Valme Hotel is a modern establishment equipped with all necessary in order to experiment the pleasure of feeling like home. 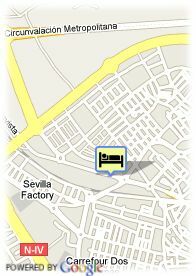 The hotel is situated in Dos Hermanas shopping area, a quiet zone very close to Sevilla centre. 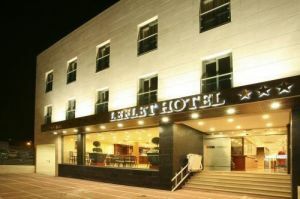 This hotel offers 74 comfortable rooms equipped with TV-set, telephone and complete Bathroom, among other facilities. The hotel proximity to a golf course extends the offer of the leisure activities, and its excellent connection to the main transportation means allows to easy move through that part. A modern hotel, with high quality services and facilities, where you will obtain the maximum comfort and contentment of your time spent in Sevilla.